Wayne Pederson joins PraiseLive Team! PraiseLive announces the addition of Wayne Pederson as Global Ambassador. 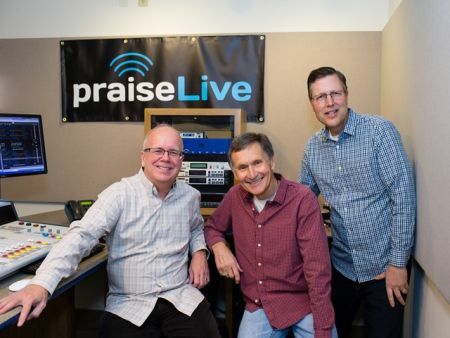 Along with Executive Director David McIver and COO Tim McDermott, (pictured at left) Wayne will be helping make worldwide connections for PraiseLive which currently is directly accessible to 53 million households across the US and the World. Wayne Pederson added “Contemporary Christian music is a universal language. I’ve seen it! Now the World Wide Web enables Christians around the world to join in worship through new social media. PraiseLive is using the new media to connect all nations in worship. Wayne’s resume includes leading Reach Beyond and senior leadership positions at Moody Broadcasting, NRB, CMB and Northwestern Media (KTIS/Minneapolis).